Limerick Under-17 head coach John Grehan says his players are “ready to go” and “very aware of who they are representing”, as they prepare for their SSE Airtricity Under-17 Southern Elite Division opener against Shamrock Rovers at UL on Saint Patrick’s Day afternoon, kick-off 2pm. Please note that this game is now at the University of Limerick, having been moved from its original venue of Hogan Park. The young Shannonsiders completed their preparations for the new campaign with a training session on Thursday evening, and Grehan noted the sense of anticipation among his players ahead of their first game. 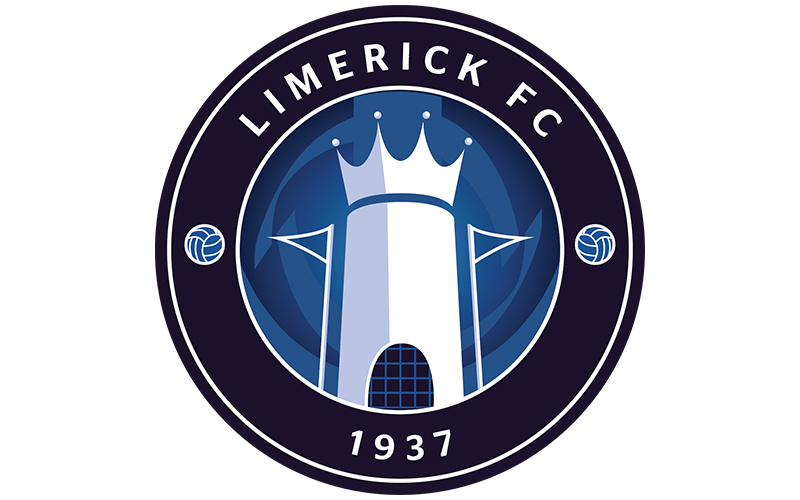 “Preparation for the season has gone very well,” Grehan told LimerickFC.ie. “We have recruited well. We have a lot of new faces and they have gelled really well. We are very excited about this particular group for the season ahead. “The boys are anxious to get going. We’ve done our pre-season and bits and pieces; the players have gotten to know each other – we’re ready to go. We will see how the game unfolds, but in terms of approach, the young lads are excited, and they’re very aware of who they are representing. On his aims for the season, Grehan said: “The aim is always player development. That is the philosophy within the club with Willie Boland, and with Tommy Barrett before him. It’s about player development above team success. Speaking on his opponents, John added: “Shamrock Rovers are an institution in League of Ireland soccer, and they have really embraced and recognised the pathways for young players through the National Leagues. They are the X-factor of football at the moment with Damien Duff, Stephen Rice and various other coaches, and are the envy of other clubs with their infrastructure. Limerick’s management team of Grehan, Niall Connolly and Chinazo ‘CJ’ Nnayma have assembled a 20-man squad – listed below with assigned squad numbers – which will be captained by Eoin Guerin. Cathal Downes and Tony Mumbauana will assume vice-captain roles. Under-17 fixtures are listed here.